K&N Roush Racing Glue UNIVERSAL - Dezod Motorsports Inc - Home of the automotive performance enthusiast since 2002. Roush High Performance Clog-Free Super Glue has a patented delivery system that allows for precision application with no drips or clogs. This delivery system allows for a shelf life of up to 12 months once opened! A reactor blended manufacturing process provides consistent quality and high performance. Roush Performance Threadlocker thread lock was formulated for racing and high-performance applications. Stringent manufacturing controls maintain consistent quality. 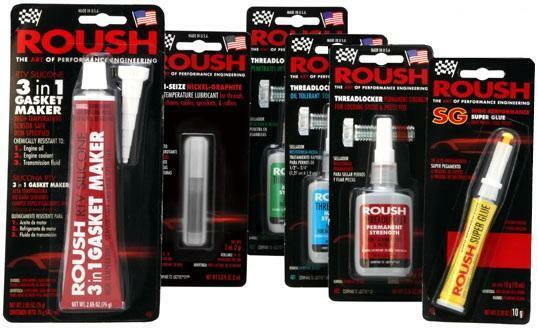 Roush Threadlocker is available in medium strength, permanent strength, and wicking formulations.